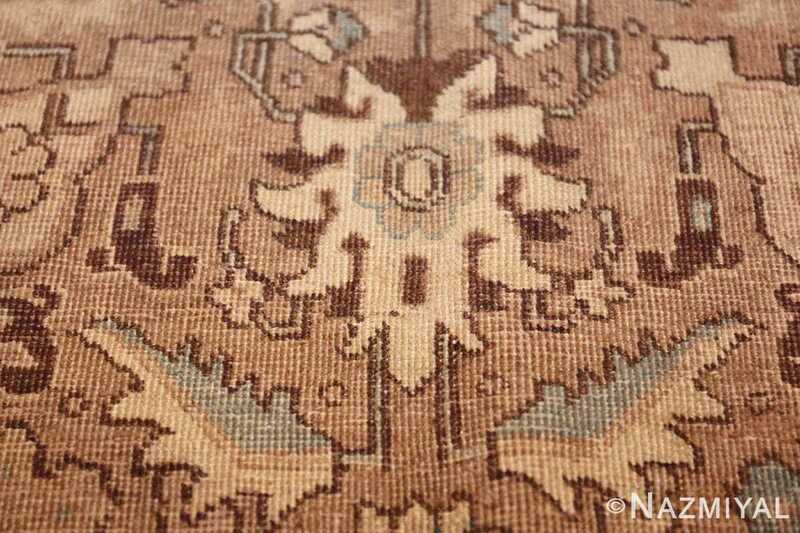 Breathtaking Decorative and Neutral Colored Antique Room Size Persian Tabriz Rug, Country of Origin / Rug Type: Persian Rug, Circa Date: 1920 - Bold tribal floral patterns and geometric shapes blend to create an extraordinarily decorative antique Persian Tabriz rug. 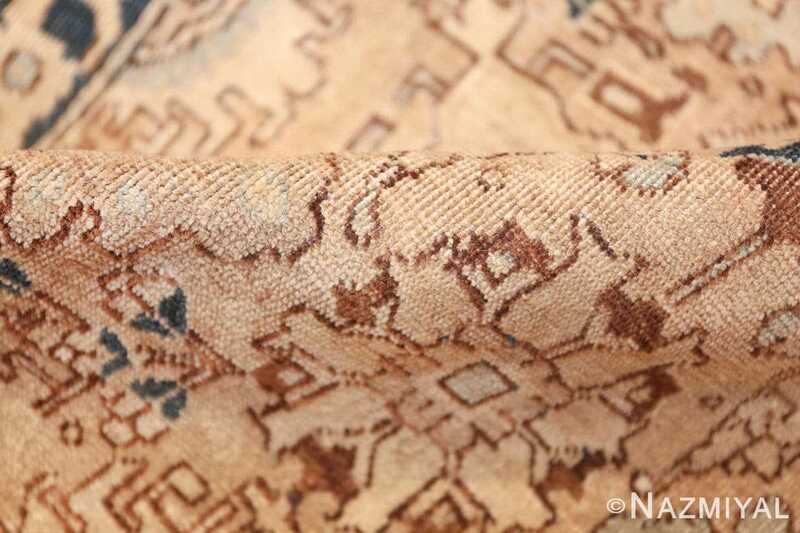 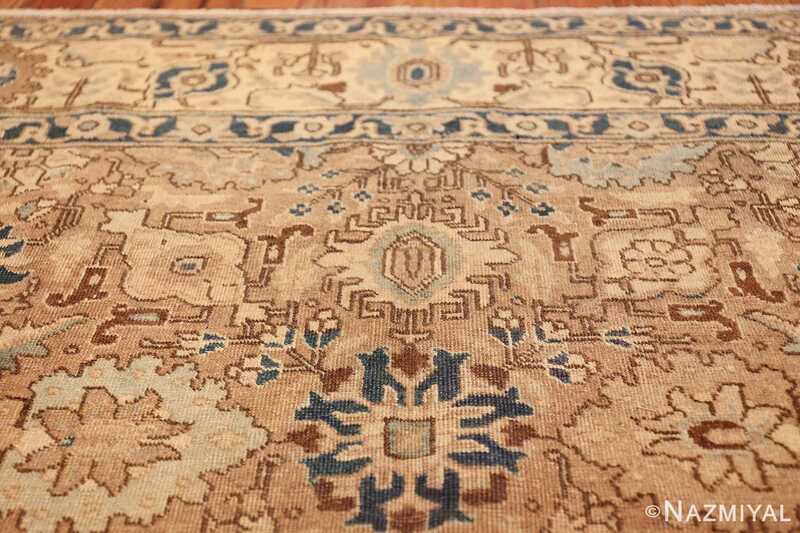 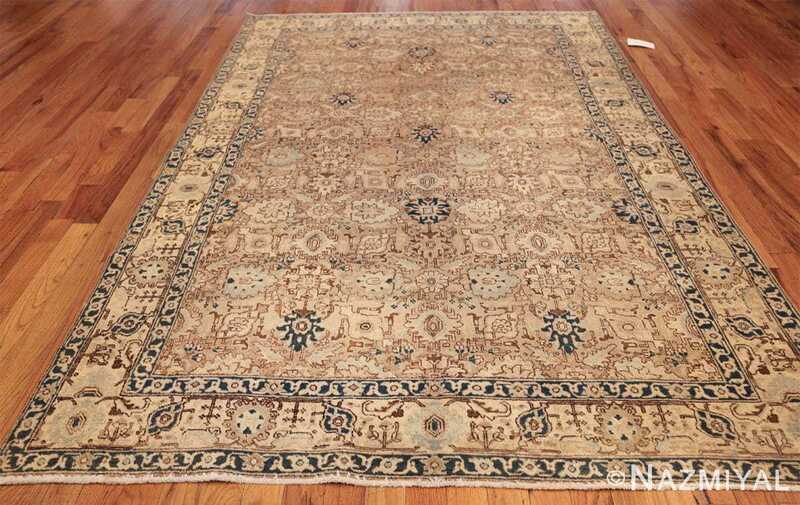 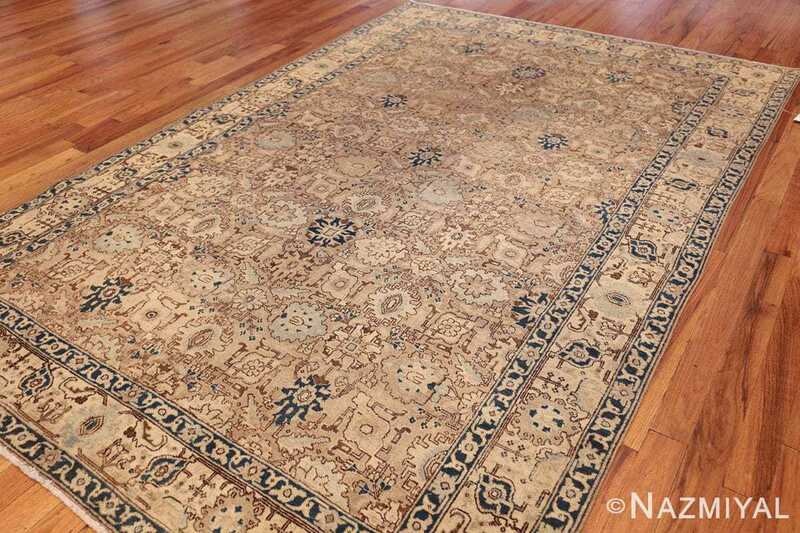 This beautiful antique Persian rug features an overall pattern that is set against a soft neutral colored background. 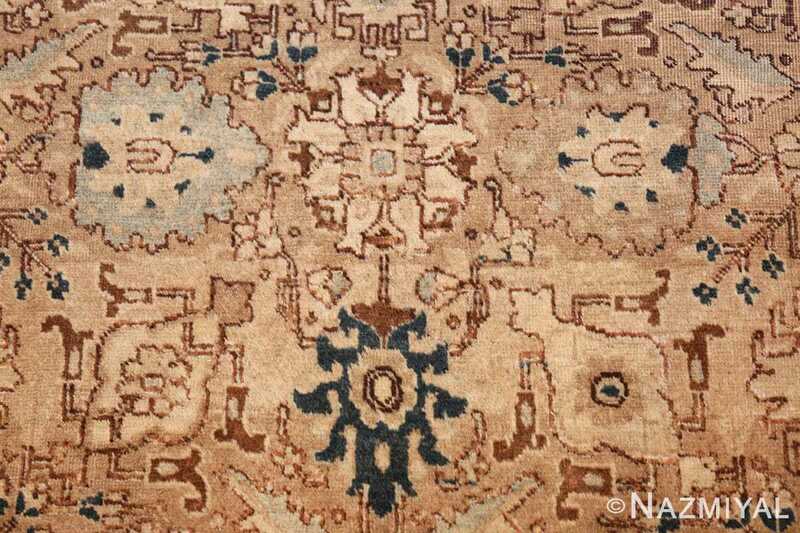 Without a doubts, this magnificently decorative rug makes an elegant addition to any home decor. 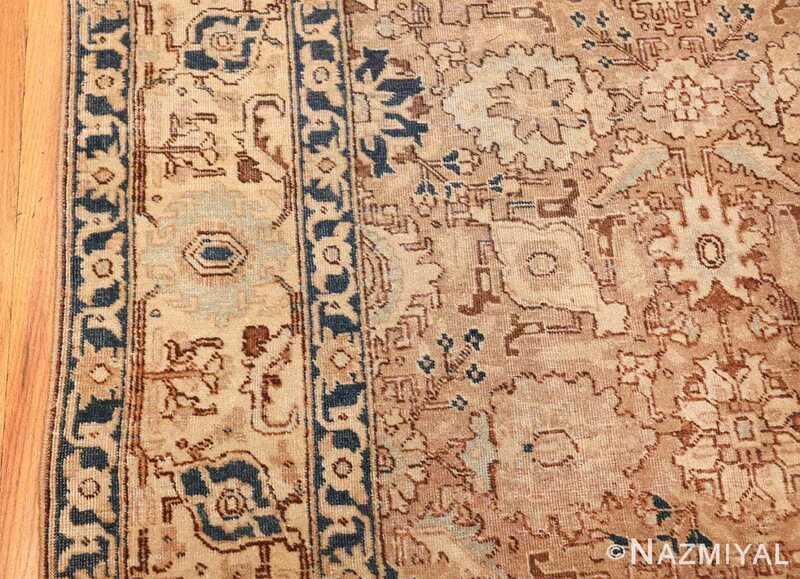 The muted neutral color tones of the field and main border are highlighted by rich navy blue colored design motifs. This room size rug is gives a symmetrical feeling both horizontally and vertically, but the closer you look, you will start to notice just how varied the is. 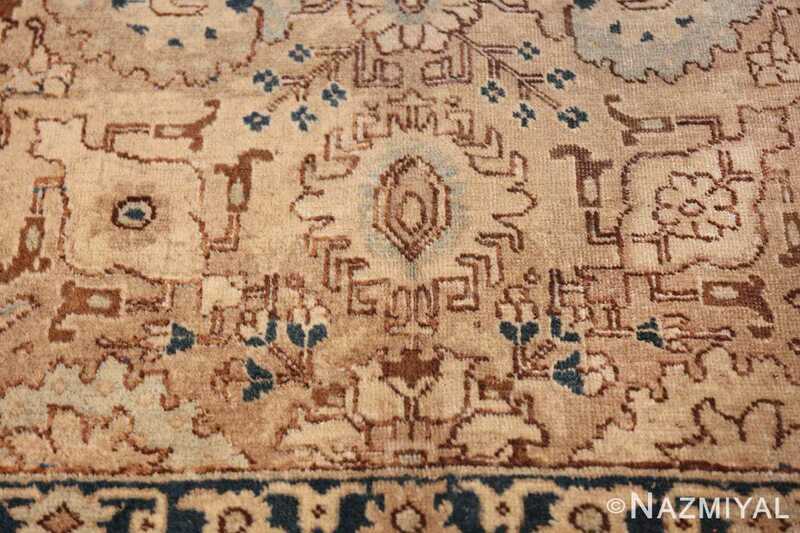 This is a true testament to the abilities of the people who wove this rug. 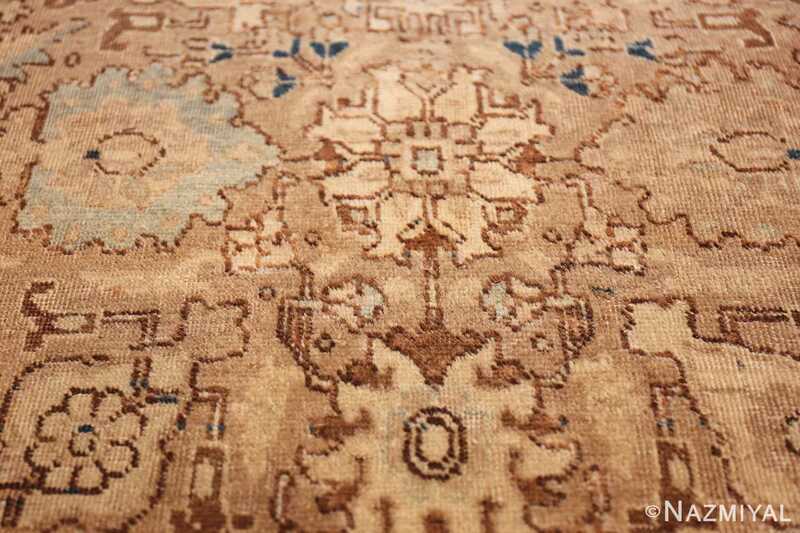 The flowers and geometric shapes of the field are arranged in an almost repeating pattern that form a loosely arranged grid. This creates a sense of flow and hierarchy in the design motifs. 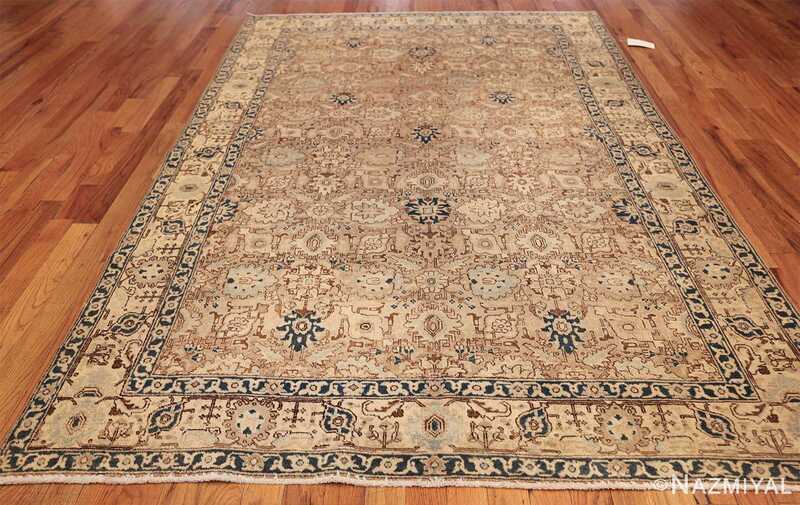 The colors in the antique Oriental rug blend well together and have just enough contrast to set them apart, but not enough to make it look overly busy. 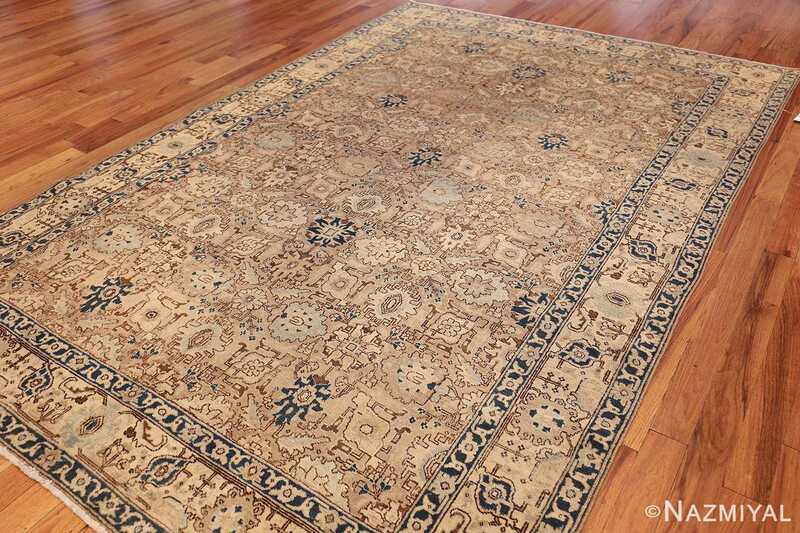 It is just enough to make this antique room size Persian Tabriz rug look stunning. 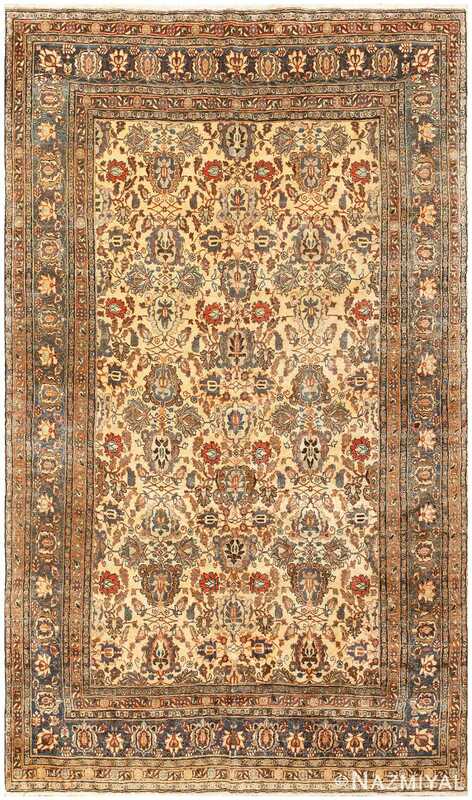 The arrangement of the floral design creates structure and gives this antique room size Persian Tabriz rug a sense of formality. The flowers themselves create a light and airy feel. 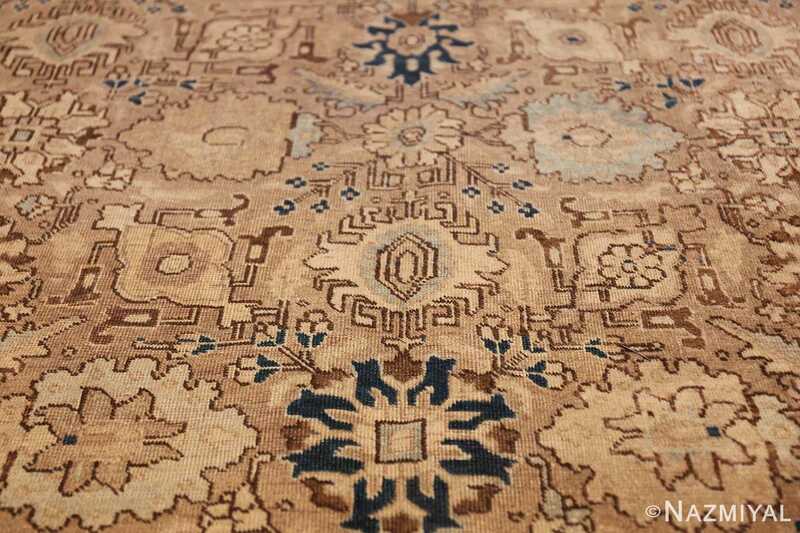 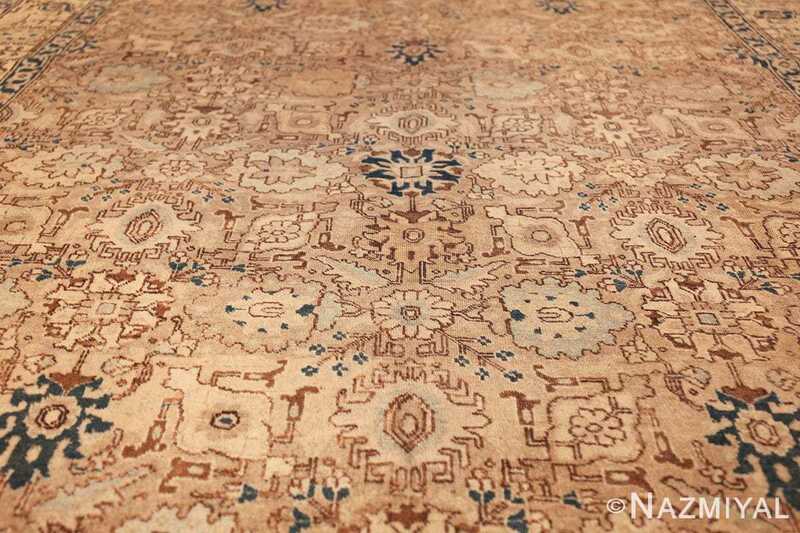 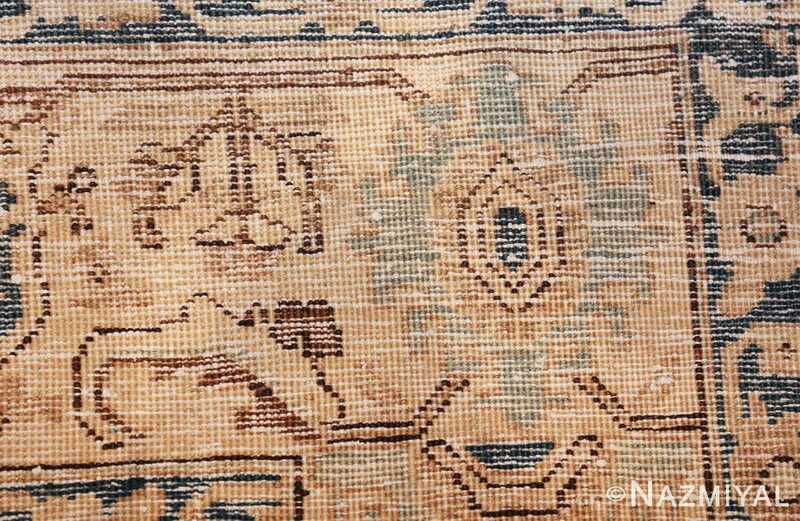 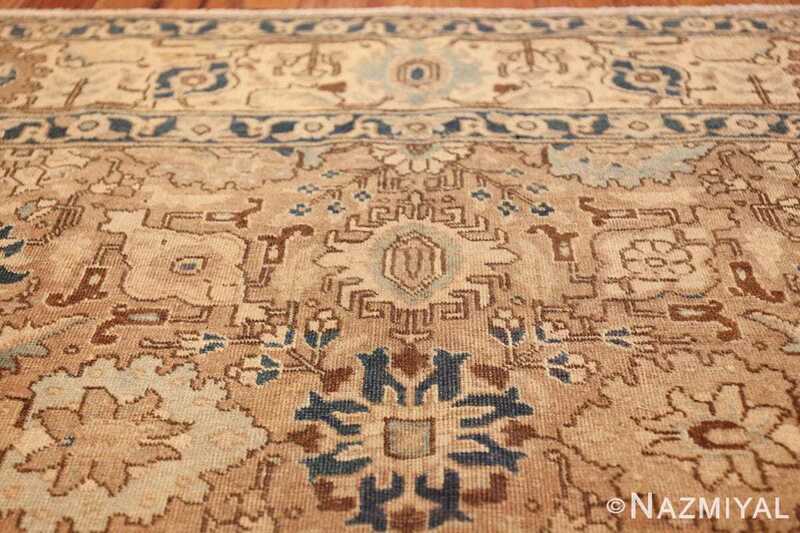 This antique rug will translate this sense of formality and spaciousness to any room design. 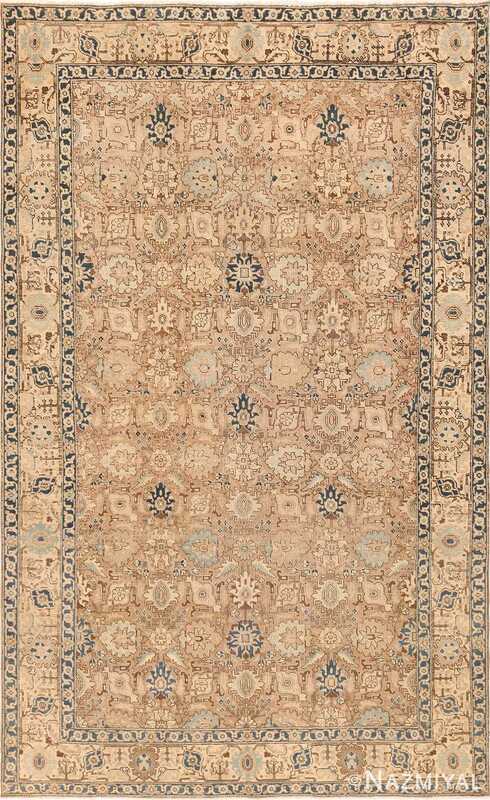 It is a well designed and balanced piece that combines centuries of tradition with a more modern coloration and elegance. 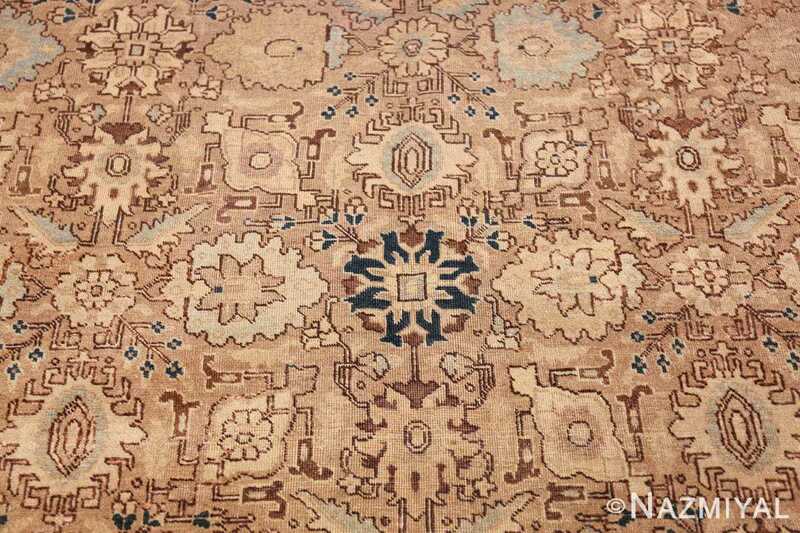 If you are hoping to create a sense of stateliness that is not overstated, this neutral colored antique room size Persian Tabriz rug is the perfect piece. 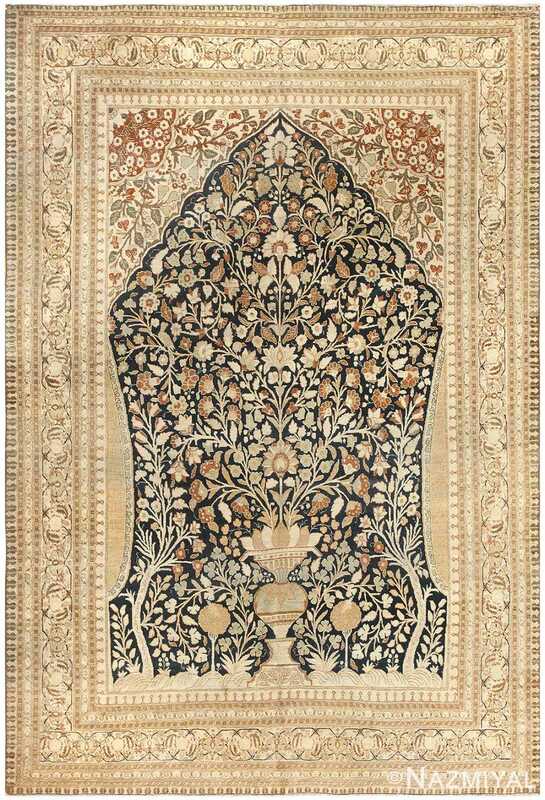 It can stand alone as central focal point of the room, or it can be used to display other fine pieces of furniture or art. 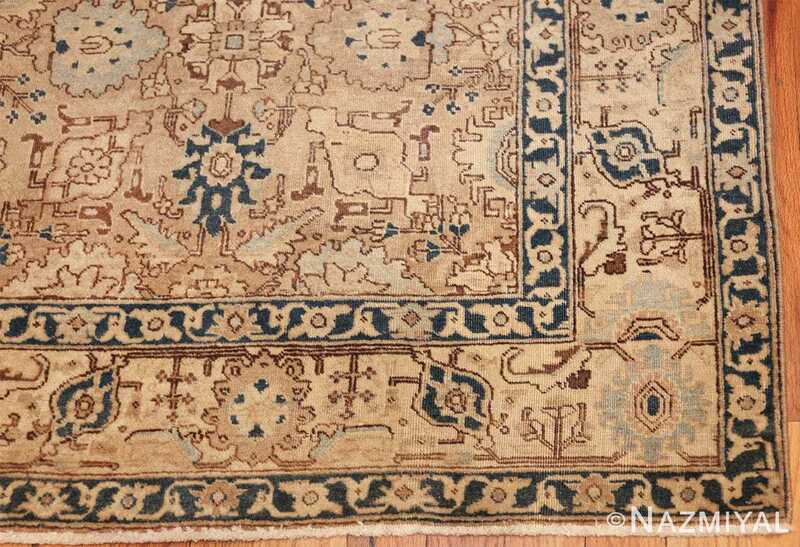 This piece speaks of fine Persian rug weaving traditions. It also is sure to reflect the refined taste of its owner and will enhance any room that it graces.